I used a lot of texture and sanding on this one! 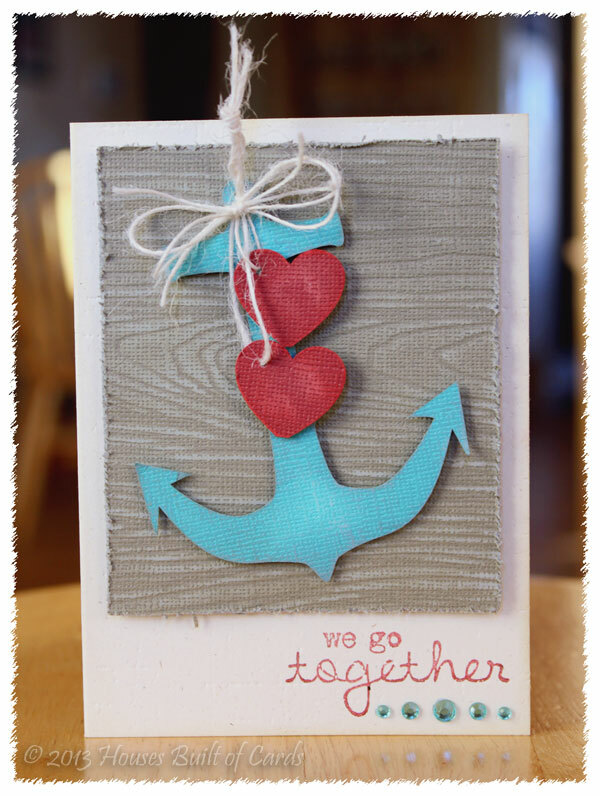 I cut the anchor and hearts out with my Silhouette Cameo, using Tim Holtz papers - love the warm rustic tones. I used a bit of sandpaper to rough up the surface of each of those pieces, then inked the edges with coordinating distress ink. 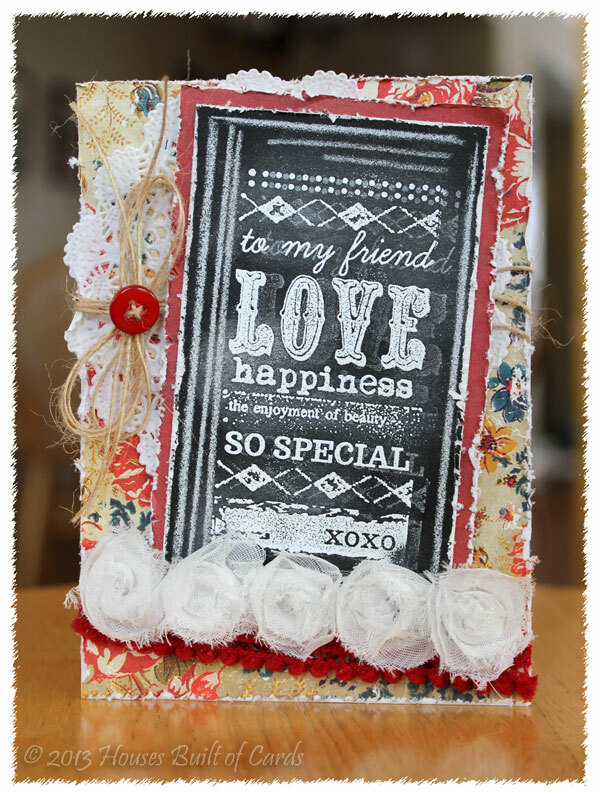 The main background panel I trimmed by hand, then embossed it with a Papertrey Ink Woodgrain Impression plate, then used some sandpaper over the surface, and my Tim Holtz distress tool around the edges. 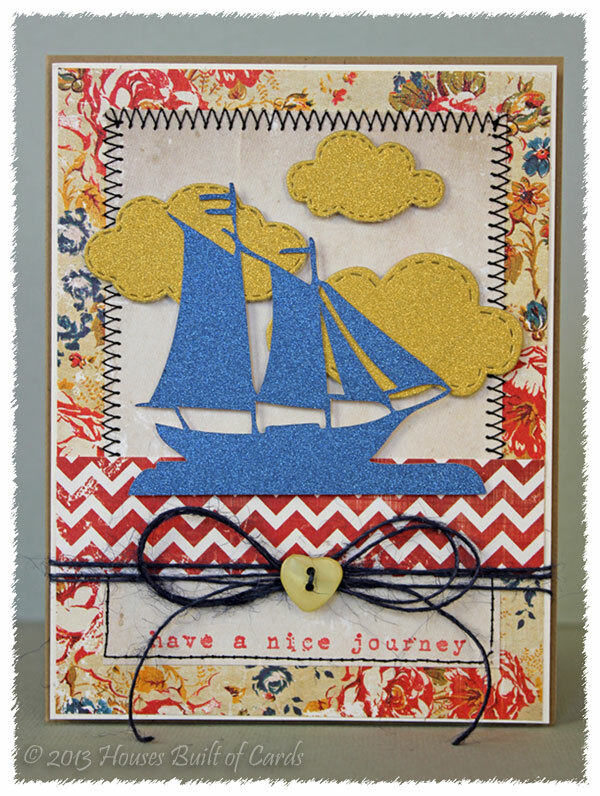 I also used the Papertrey Ink Linen Impression Plate for the main cardbase, then inked the edges with Antique Linen distress ink. 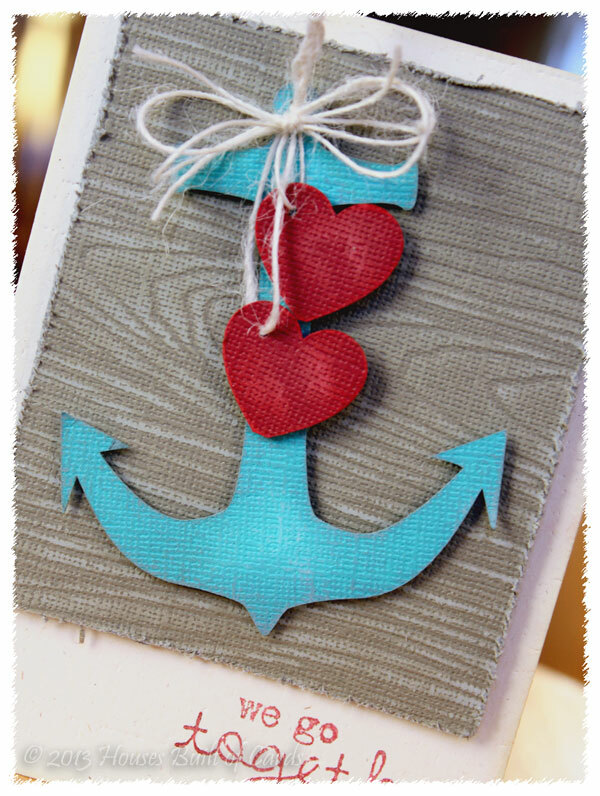 I attached the main panel with foam adhesive, then the anchor, then tied the hearts on with some jute twine, and added a dab of foam adhesive to hold the hearts where I wanted them. 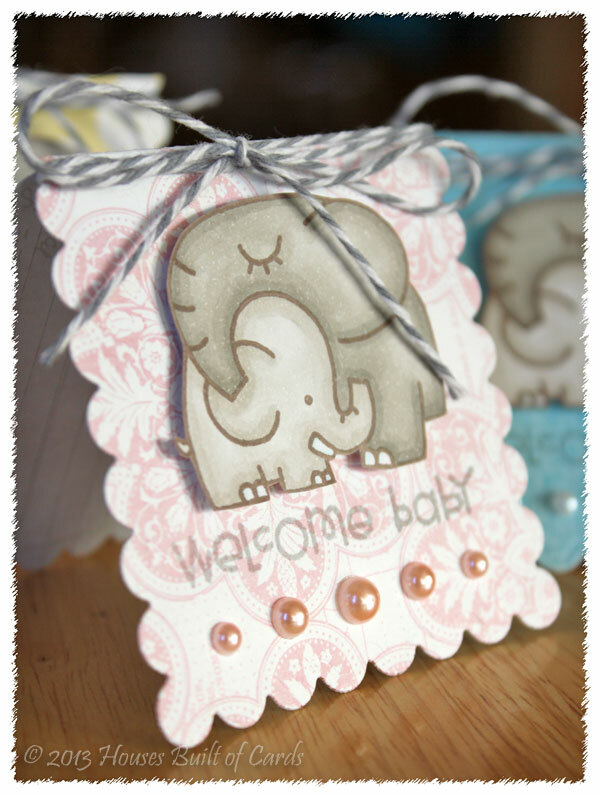 Finished off with the sentiment from Unity stamps, and a tiny bit of bling! 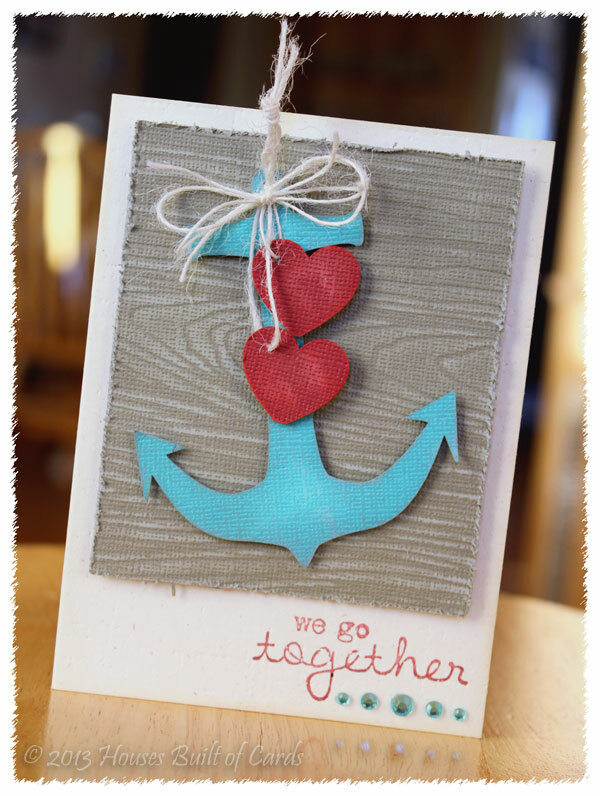 Love using punny sentiments this way...you know, pull up anchor - and off we go? Anyway - thanks so much for stopping by! Have a wonderful day!!! 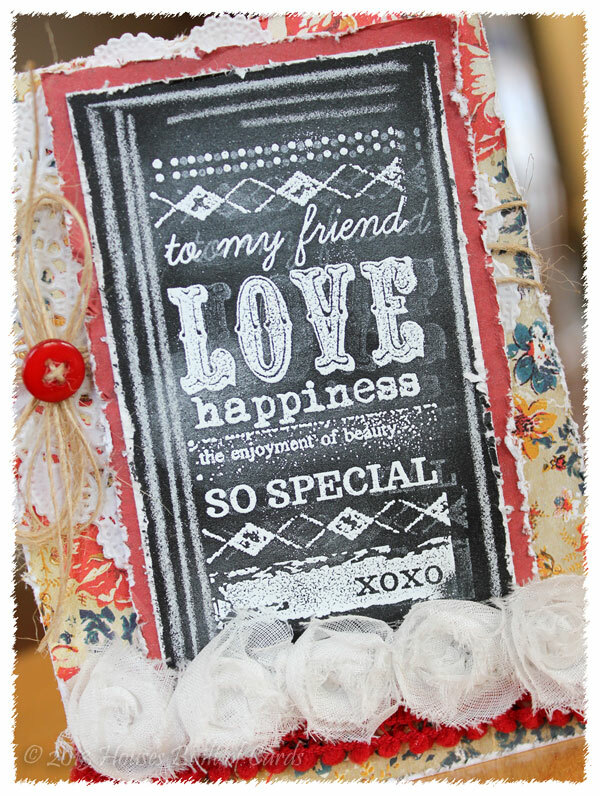 I used this sweet set - Butterfly Kisses - it has so many fun sentiments! 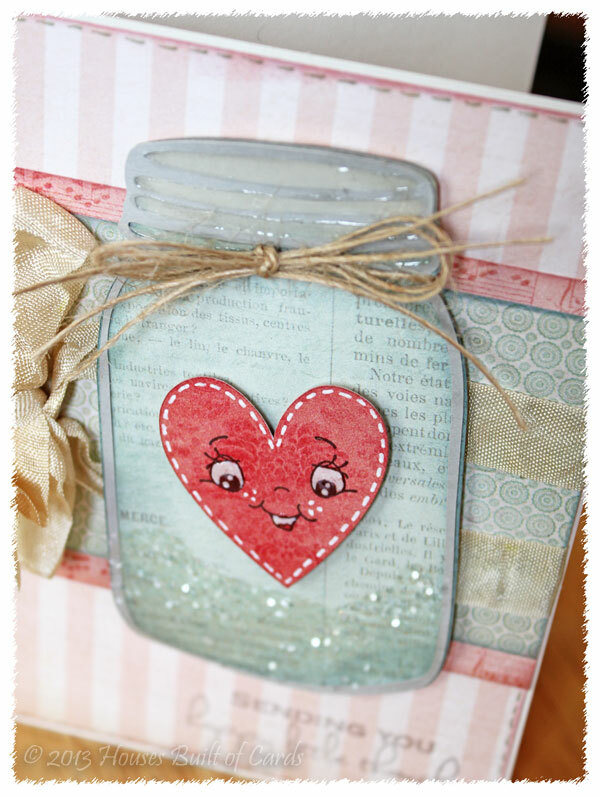 The jar is a cut file from the Silhouette store, and I used my Cameo to cut it out. 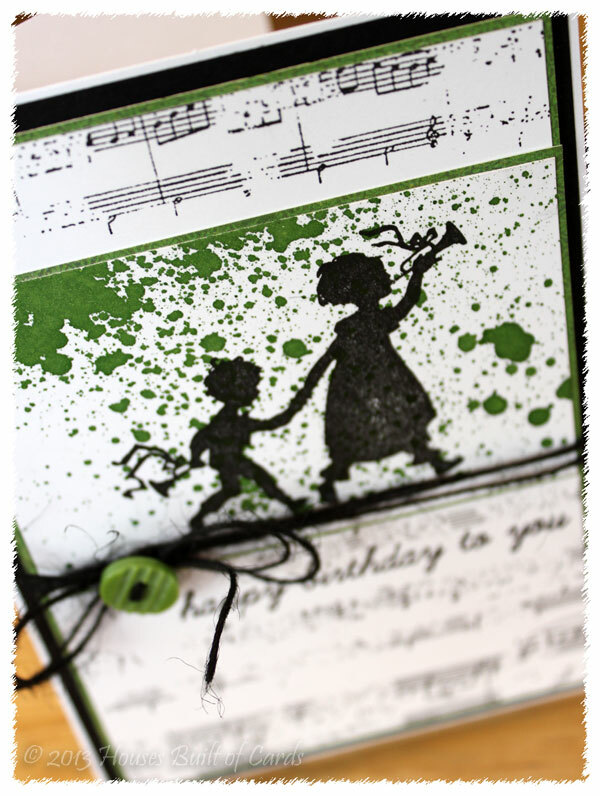 I inked the edges with Tim Holtz distress ink before attaching all the layers together. 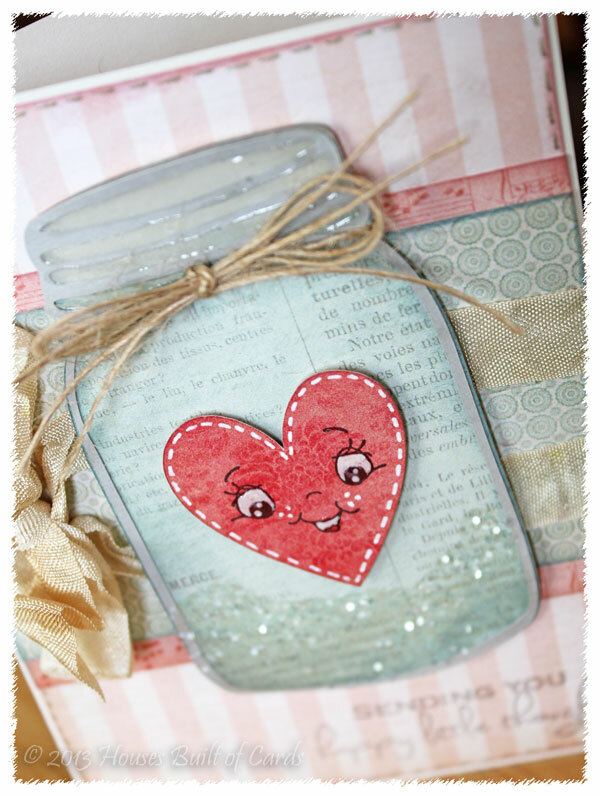 I used one of my favorite Peachy Keen Face sets, Wide Eyed Kids Assortment, to put a sweet face on the heart. I used some white gel pen to add some stitching and detail to the face, then used foam adhesive to attach it to the jar. 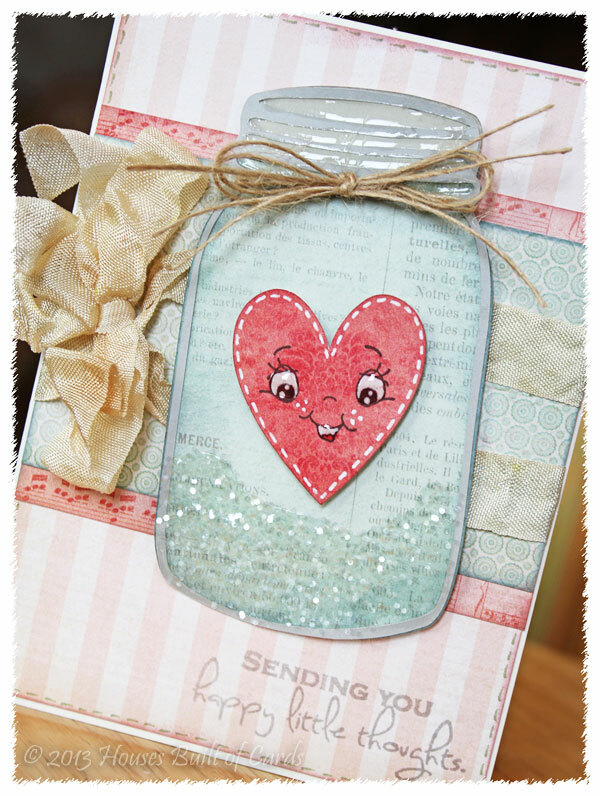 I added some Glossy Accents to the eyes, mouth, top of the jar, and the bottom of the jar - sprinkling a bit of Martha Stewart Coarse Glitter on just the bottom. Also tied some natural jute twine (available HERE at My Craft Spot) around the top of the jar, tying in a bow. 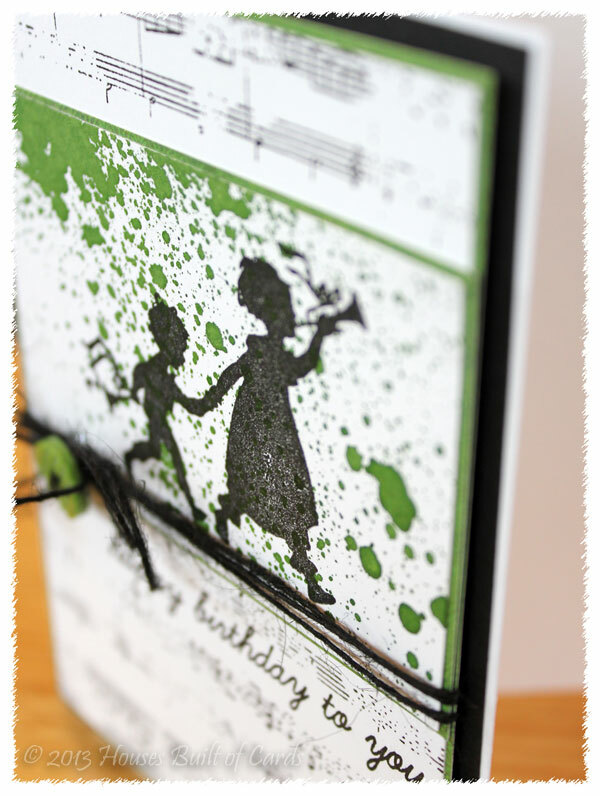 I layered all my different papers together from an older My Mind's Eye 6x6 paper pad - inking all the edges with Tim Holtz distress ink, then wrapped some Vanilla Bean crinkle ribbon (available HERE from My Craft Spot) around, tying in a bow on the side. 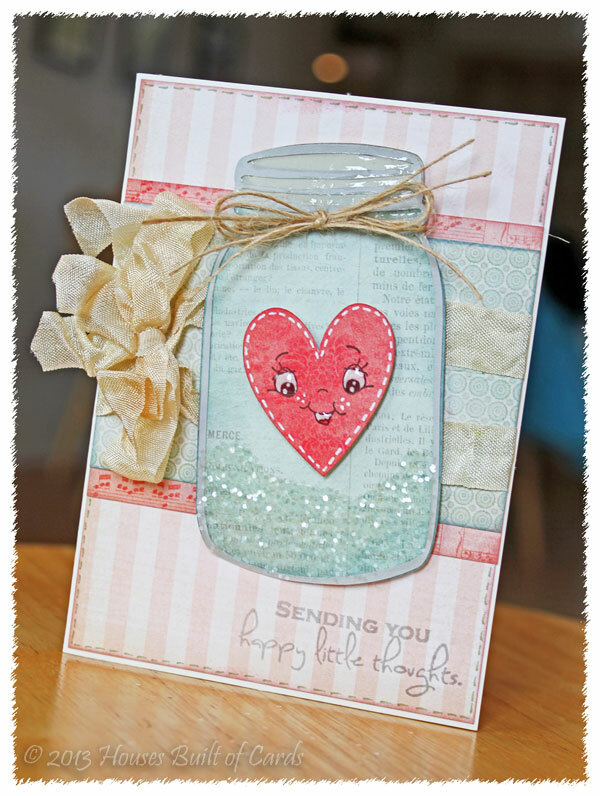 Finished off by attaching the jar with foam adhesive, stamping the sentiment on the bottom, then adding some stitching with a Tim Holtz distress marker around the outer edges. Thanks so much for stopping by! Have a wonderful day today!!! 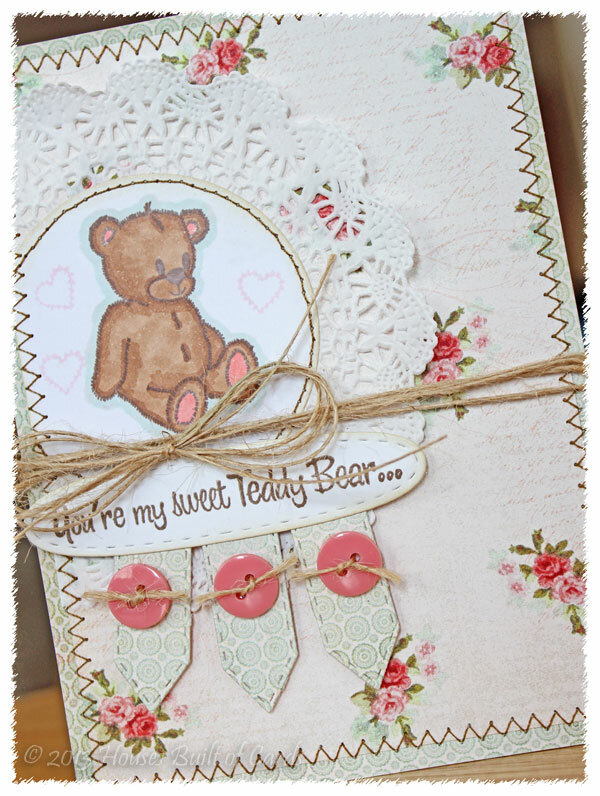 I used one of her cute stamp sets called Beary Special Thoughts, and a couple of different dies - Teeny Tags Layering Dies, and Stitched Oval Die. 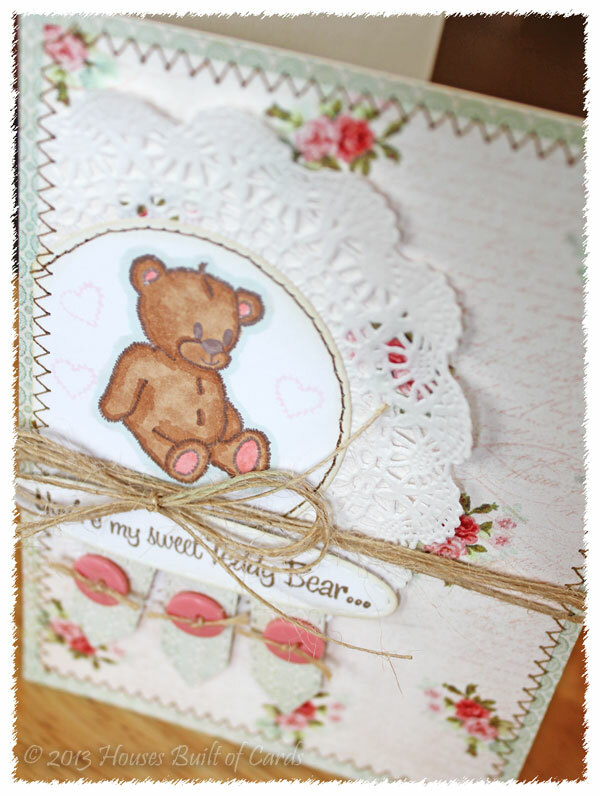 I started off by stamping the adorable bear on a circle cut with the Spellbinder's Die, and colored it in with Copics, adding a couple of the little hearts from the same set around him. I layered together 2 pattern papers from a My Mind's Eye 6x6 paper pad, and added a doily under the bear circle, trimming one side. I then pulled out my sewing machine and added some stitching. 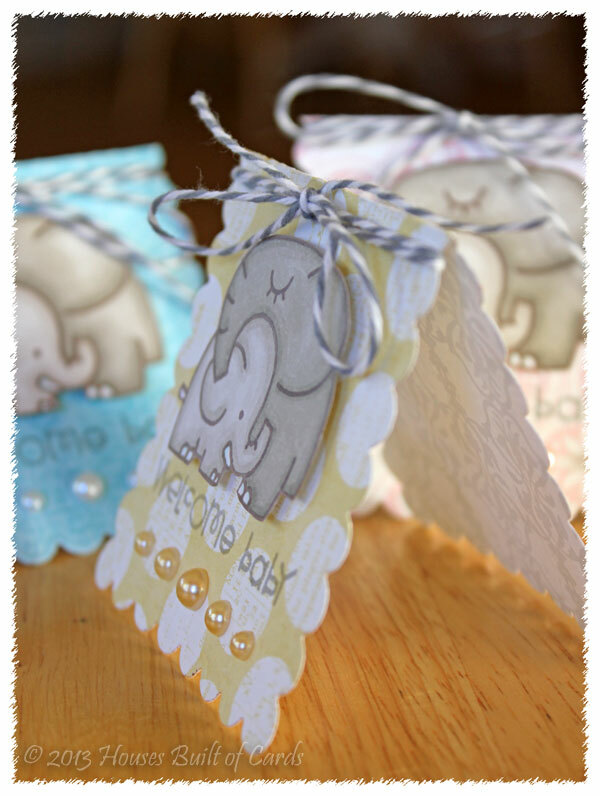 I used one of my 2 pattern papers to cut 3 of the tags out with to use as a banner, then layered my buttons on top, with a bit of jute twine tied through them. 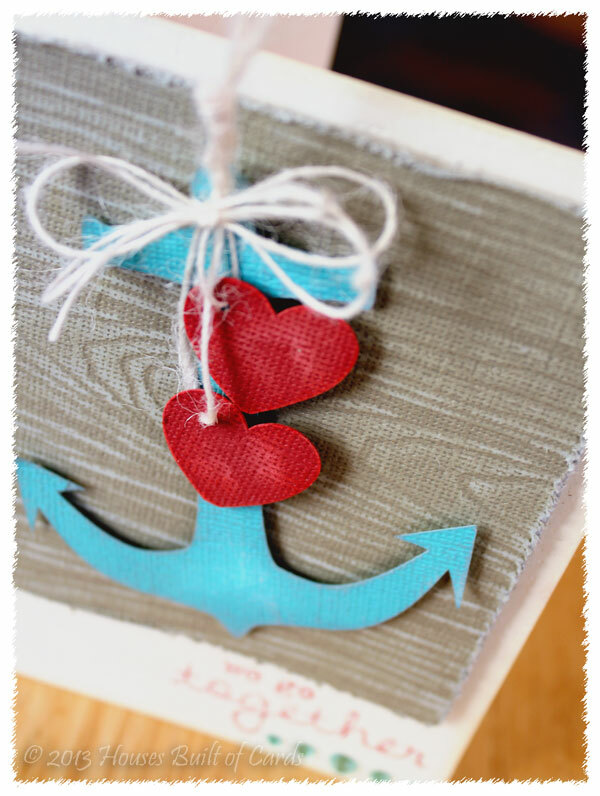 Finished off with the sweet sentiment, and some jute twine wrapped around and tied in a bow. 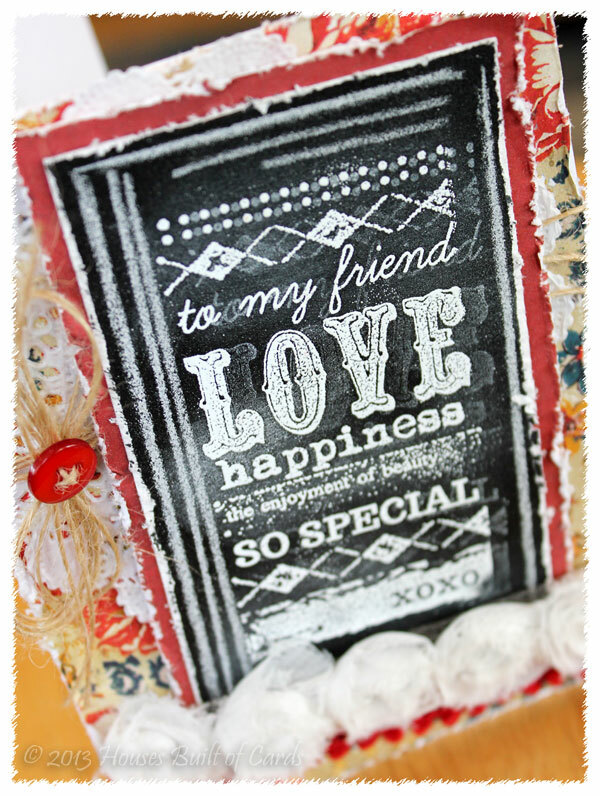 I had so much fun playing with my stamps and dies from My Creative Time! Thanks for stopping by today!!! 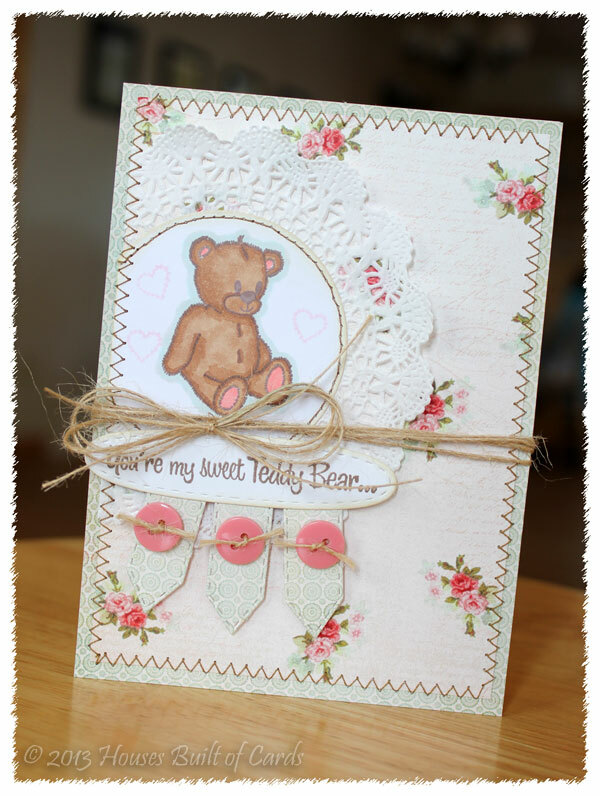 I am also linking this up with the BRAND new weekly challenge over at Pumpkin Spice. You can read all the details HERE and join us - next week is prize week - you don't want to miss it! I am also linking this up to the Golden Oldie Challenge over at A Blog Named Hero - and since the stamp I used is one of the first Hero Arts stamps I ever purchased, I decided that worked, right? 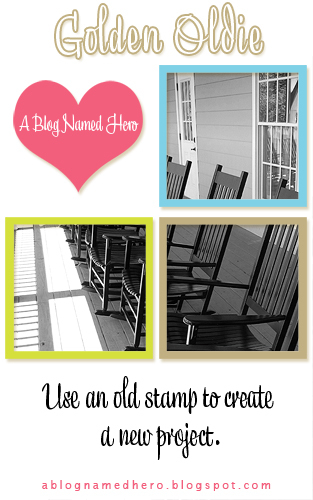 I am also linking this up to the Make Your Own Background Paper Challenge over at Moxie Fab World. I started off with some white paper and used some Mister Huey's Color mist on it. 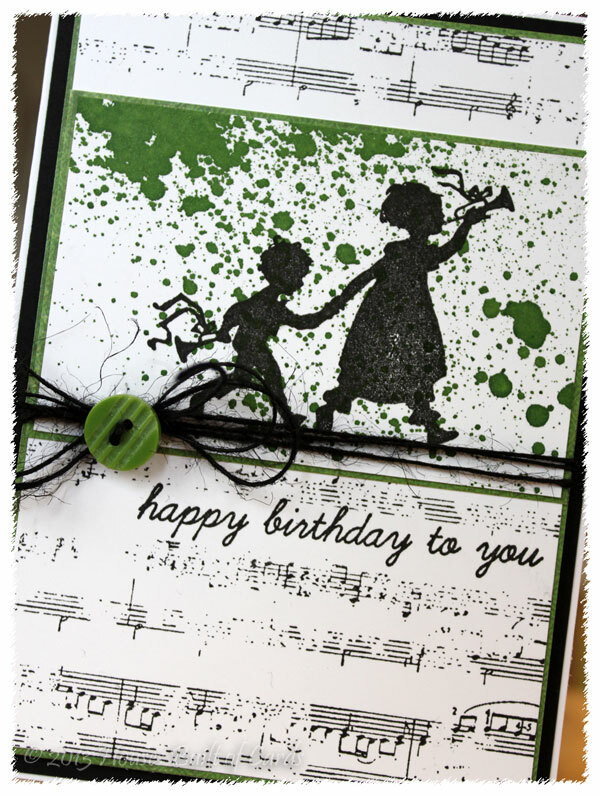 After that dried, I stamped that silhouette over the top with black Versafine ink. I matted that piece with some green Cosmo Cricket paper from an older 6x6 paper pad. 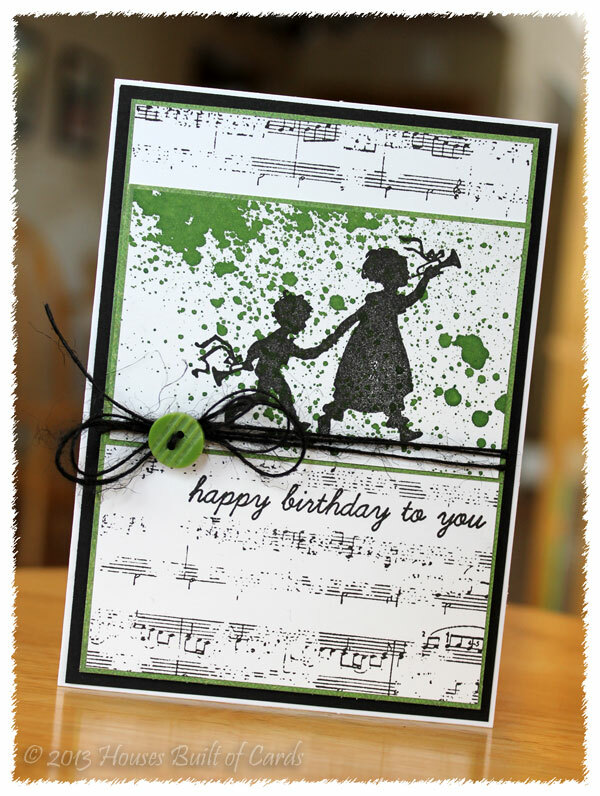 The background is a large wood mounted stamp from Unity Stamp Company called Worn Music. 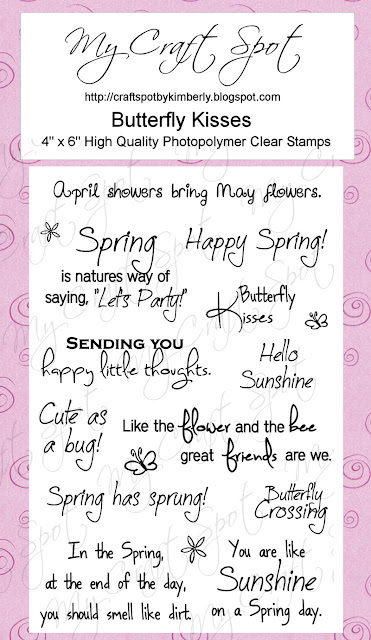 I grabbed the sentiment from another Unity Stamp Company set called Party All Day. After stamping the background and sentiment, I attached the center panel, then matted the entire thing in more of the green paper. 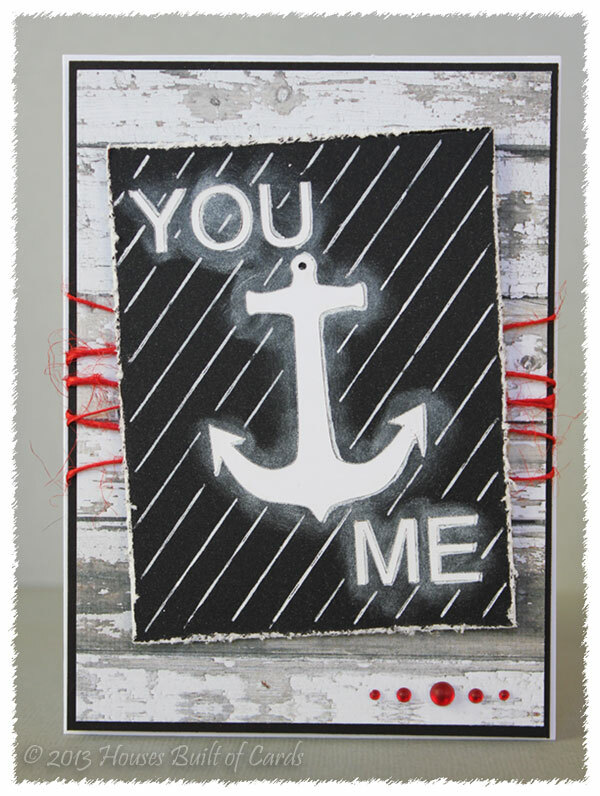 Wrapped some jute twine around it, added an October Afternoon button, and attached to a mat of black paper with foam adhesive, before attaching to a white card base. This is the first time I have had this much fun with this type of color combo! Thanks for stopping by again! 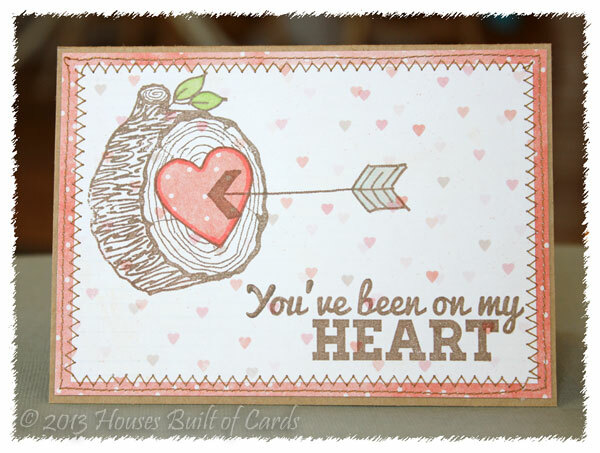 That first sentiment just jumped out at me and I pictured an arrow stuck right in the center of the heart! 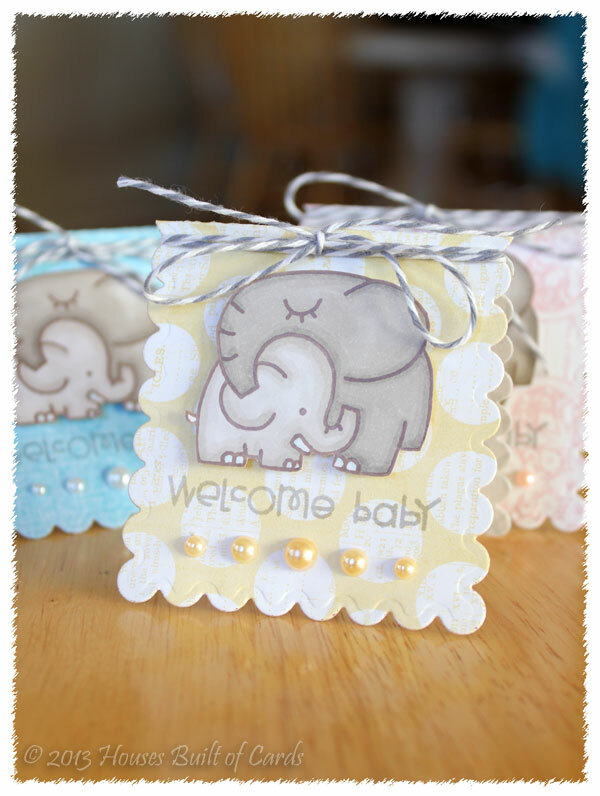 I used some Glitz Designs papers from a 6x6 paper pad, and added some stitching around the outside edges. 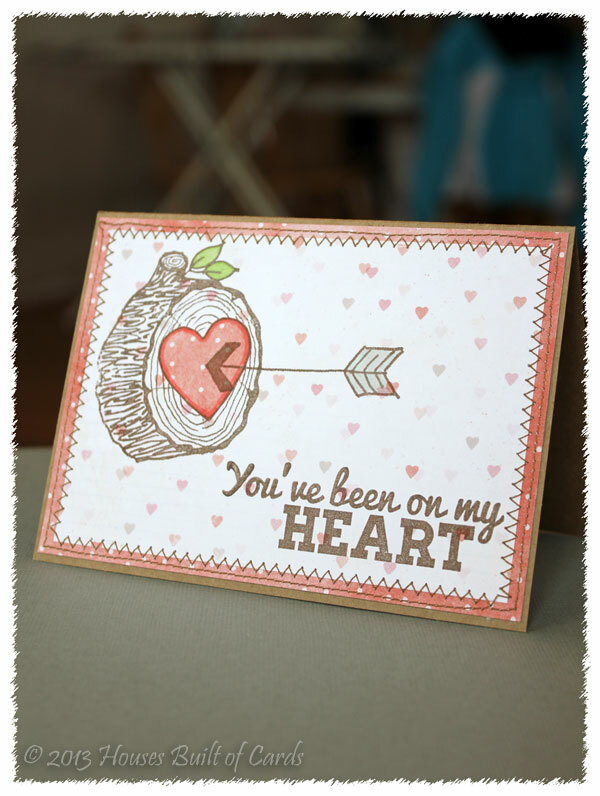 I stamped the tree, colored just the leaves with my Copic markers, then stamped and paper pieced the heart in the center. 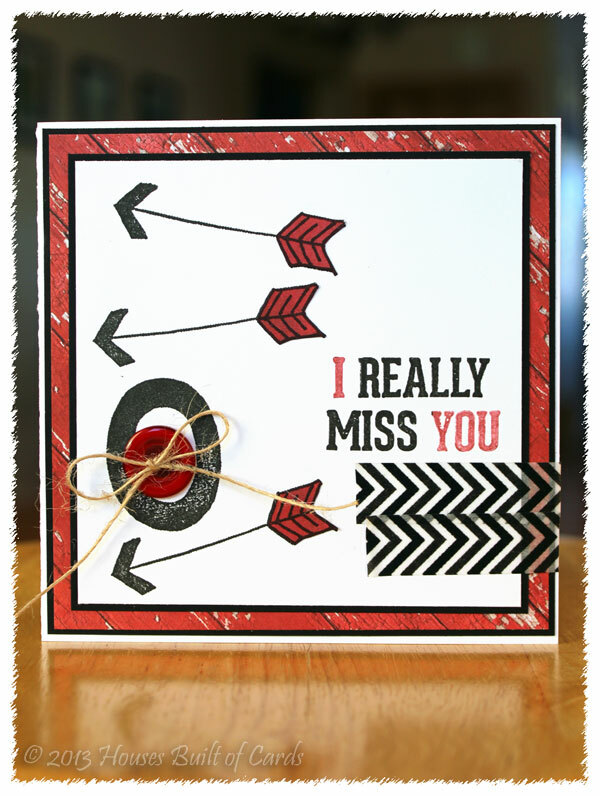 Finally, I stamped the arrow on top of it all and added my sentiment. 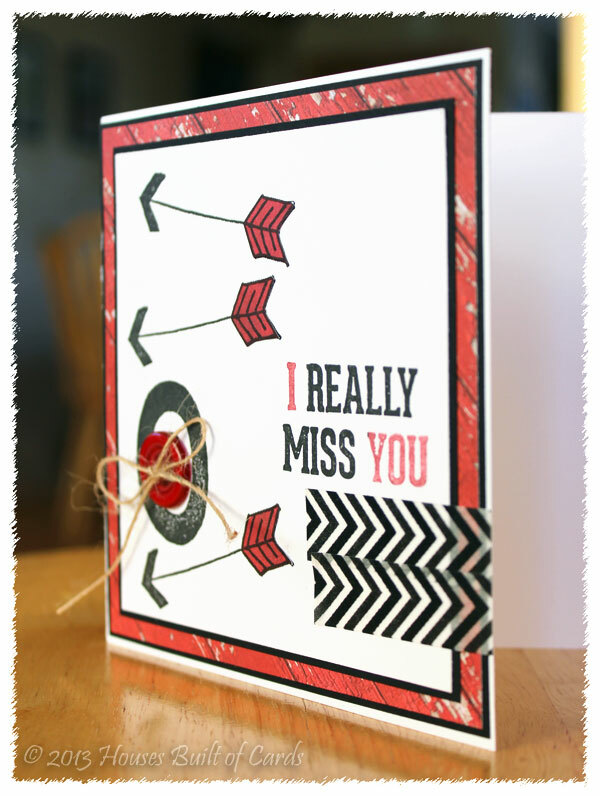 The second card was kind of the same thing - that sentiment made me think of missing the mark - which is probably what I would do were I to actually attempt to take up archery! 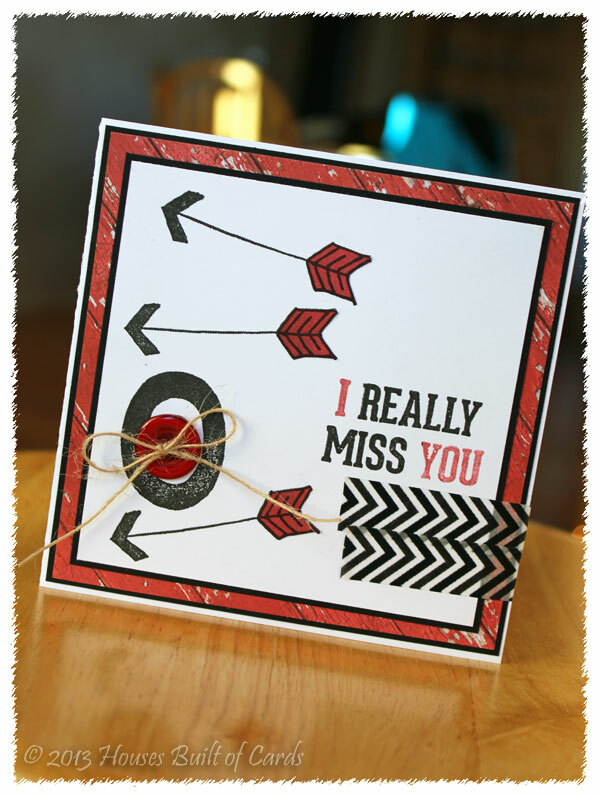 I stamped the target, and added a button and some twine in the center. 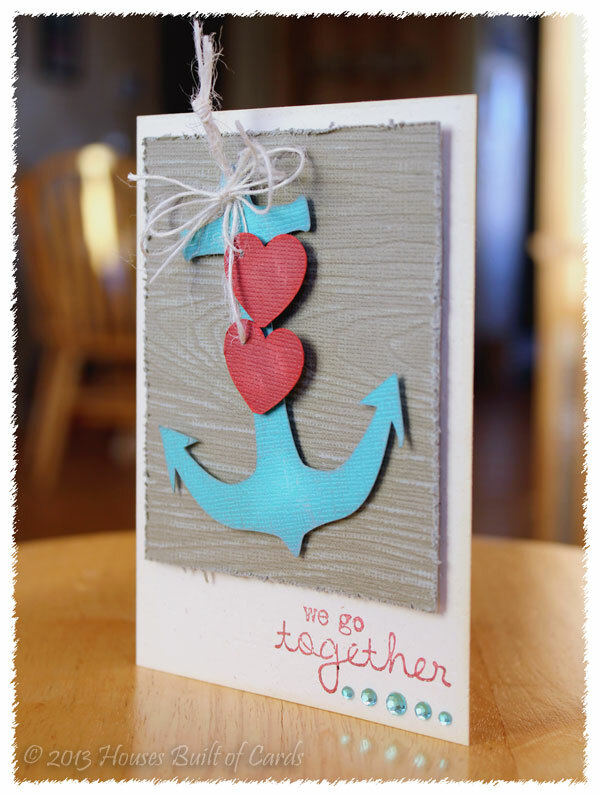 Next, I stamped the arrows, and paper pieced the top part. I selectively stamped my sentiment so that it would fit where I wanted it, and inked it up with different colors. 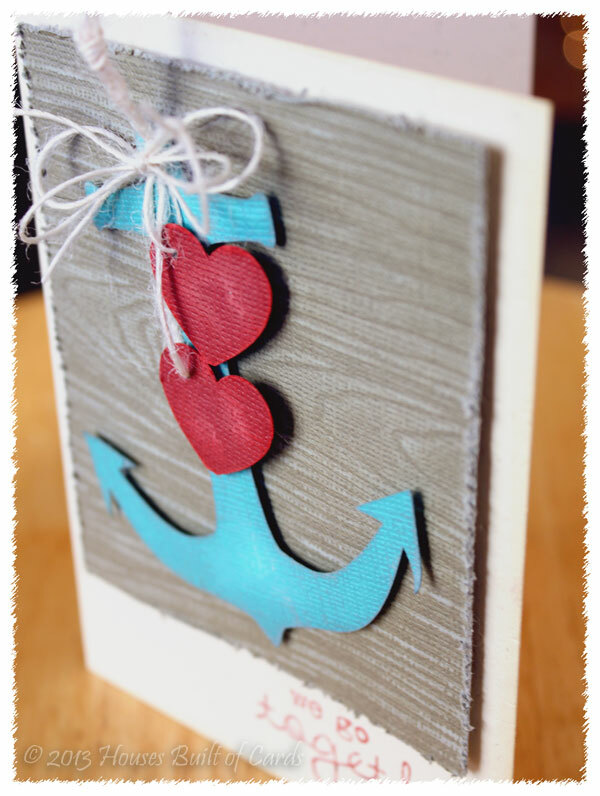 Used black and white cardstock, and the woodgrain and red papers are from an older My Mind's Eye 6x6 paper pad. Finished off with some washi tape under the sentiment - and the only thing I wish I would have changed would be to have the chevrons pointing the other way! 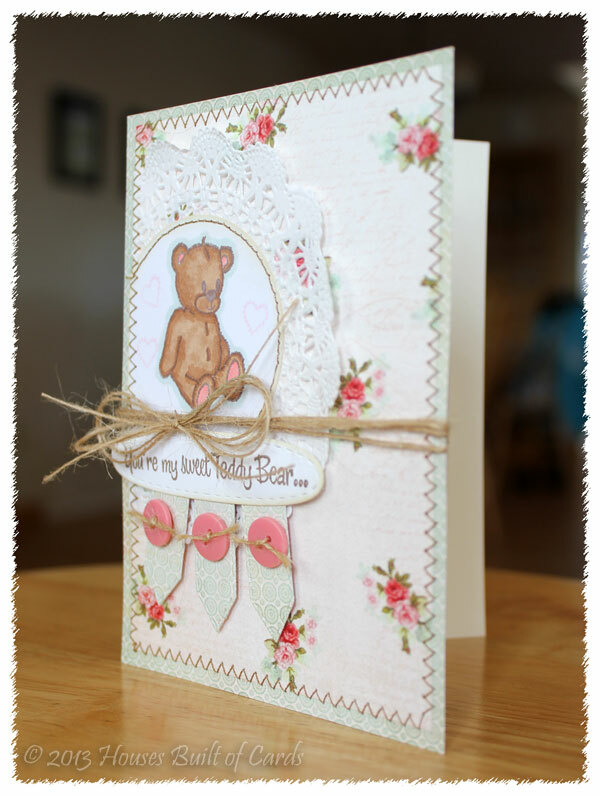 I have already mailed this card off, otherwise I would have fixed it and re-photographed! But even though something was bugging me, I didn't figure it out until afterwards! Oh well! 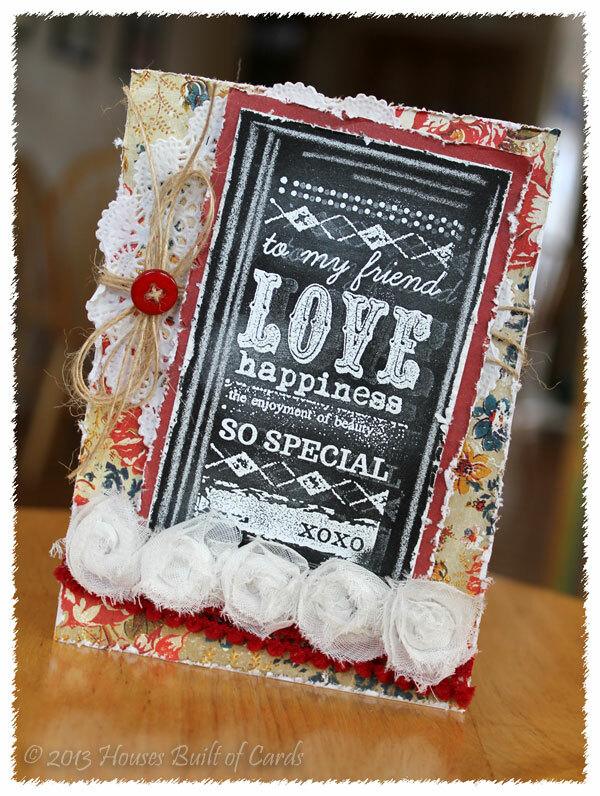 Thanks again Market Street Stamps for this super fun opportunity! I so enjoyed it! And thanks to everyone who stopped by! Thanks for all your kind words! 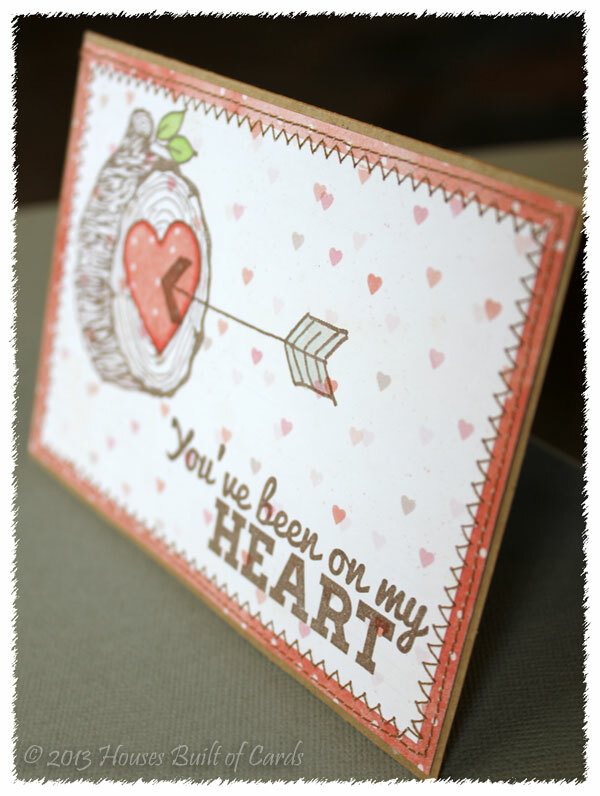 I used some super yummy Glitz Designs paper, from the Love Truly 6x6 paper pad (which just happens to be available for a GREAT price HERE at Shop Pumpkin Spice!) 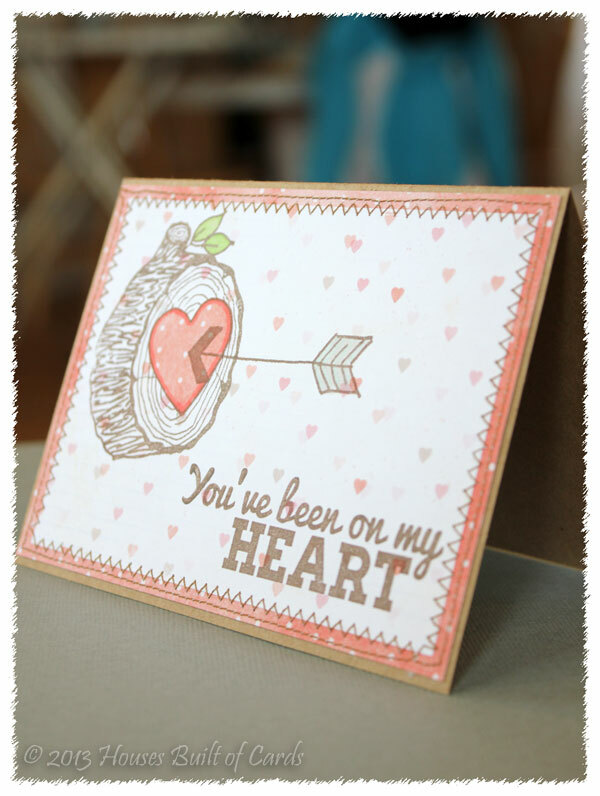 - this is seriously one of my favorite Valentine paper pads right now - and great for so many other things beyond! I stamped the image on some chalkboard paper, and heat embossed it in white, before adding some white smudges with pigment ink. 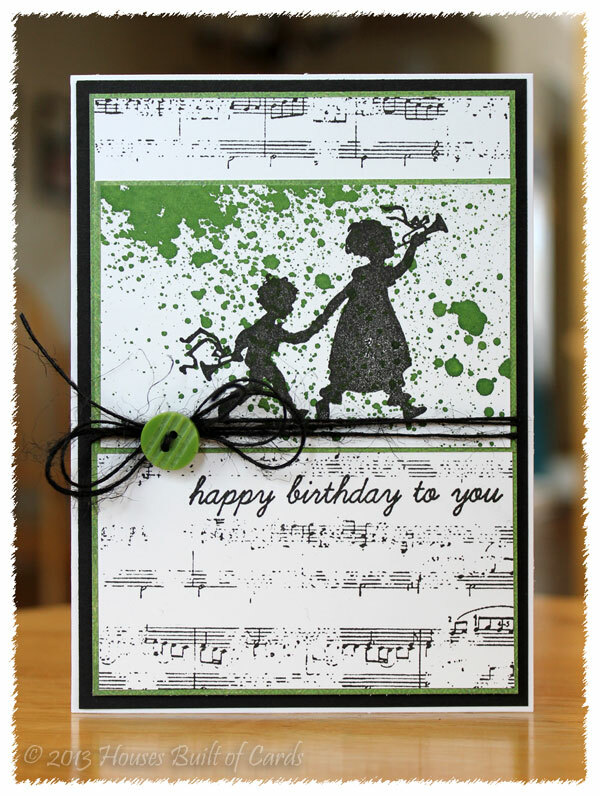 Finally, re-stamped the image with the white pigment ink. It was a bit tougher to line up than a clear stamp, but I just went with it! I then added some white lines with a white colored pencil. 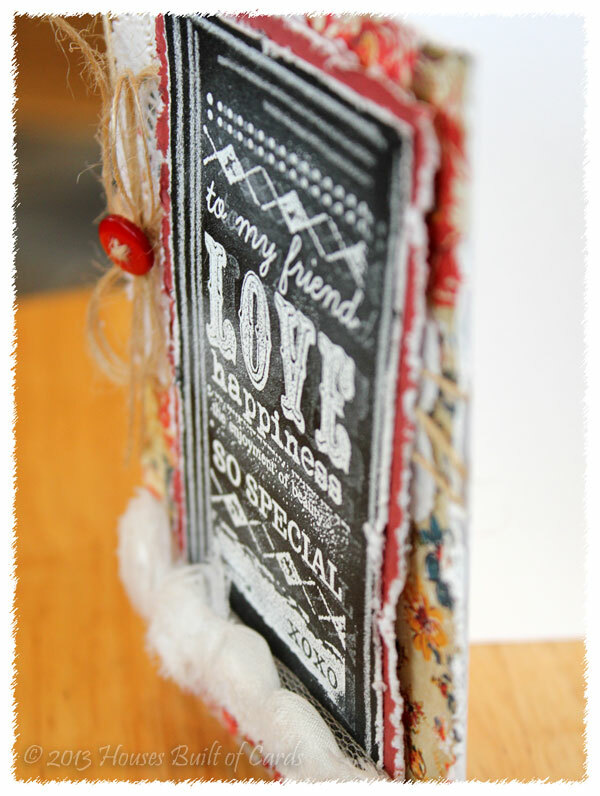 I distressed all the edges of my paper with my Tim Holtz distress tool. 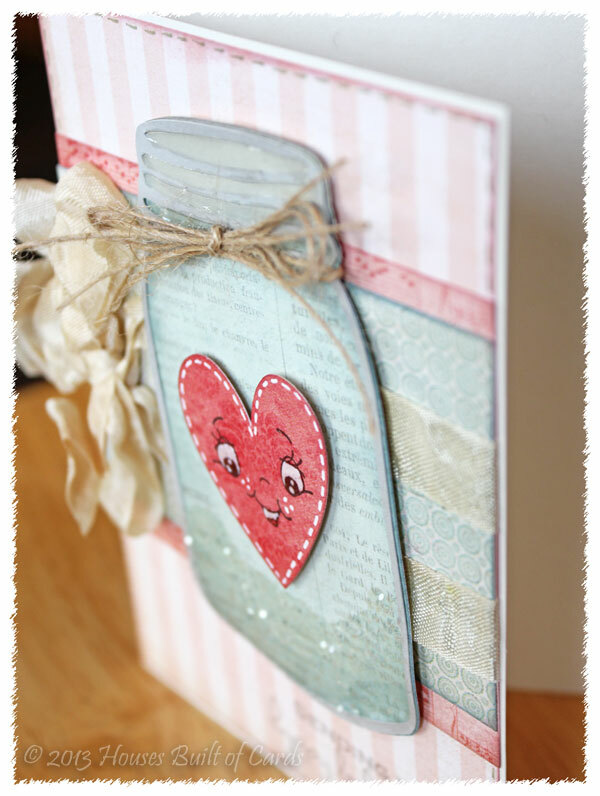 LOVE the shabby look it gives! Tucked a doily in, wrapped some jute twine around and tied in a bow, adding a red button from my stash. 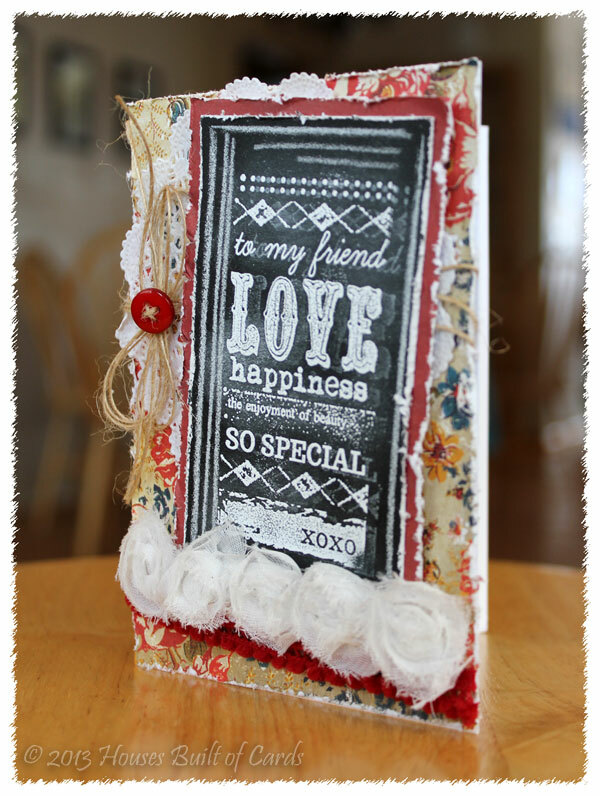 Finished off with some white rosette trim by Tim Holtz, and some pom pom trim from my stash. I don't think I'm done with the Chalkboard technique anytime soon - just can't get enough of it! 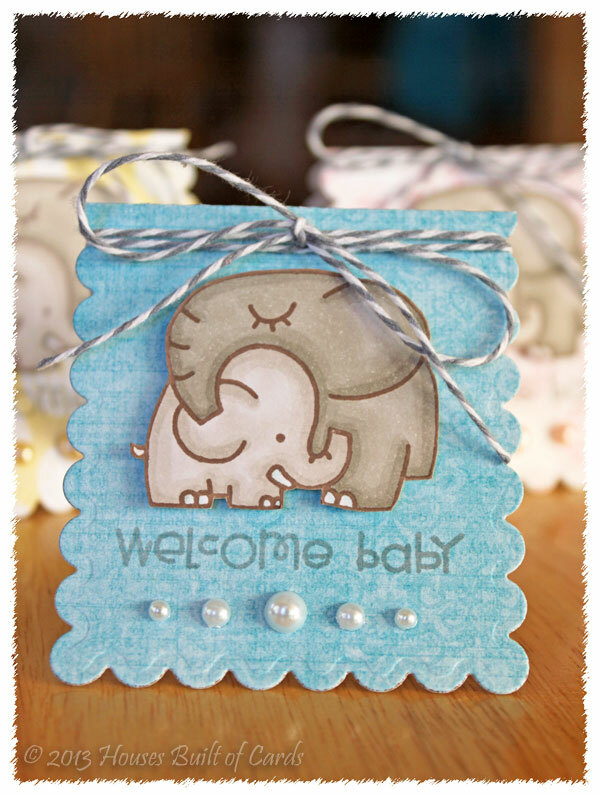 In fact, I already made another one like this - same stamp image, but some different papers and softer colors (I will share it soon!) In the meantime, hope you have a wonderful Friday and weekend! 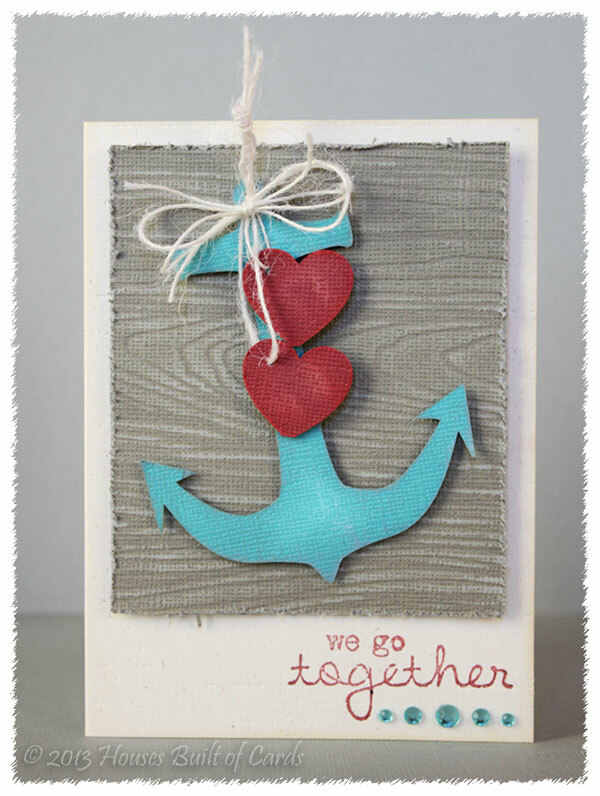 I'm also linking this up this weeks challenge at Word Art Wednesday - Anything Goes. Whew! I had just uploaded these pictures at 6 AM this morning, and was getting ready to type my post, when we had a 3 second power outage...for some reason it made our internet not work! So...my wonderful hubby came home on his lunch break to get it fixed for me! YAY!!! 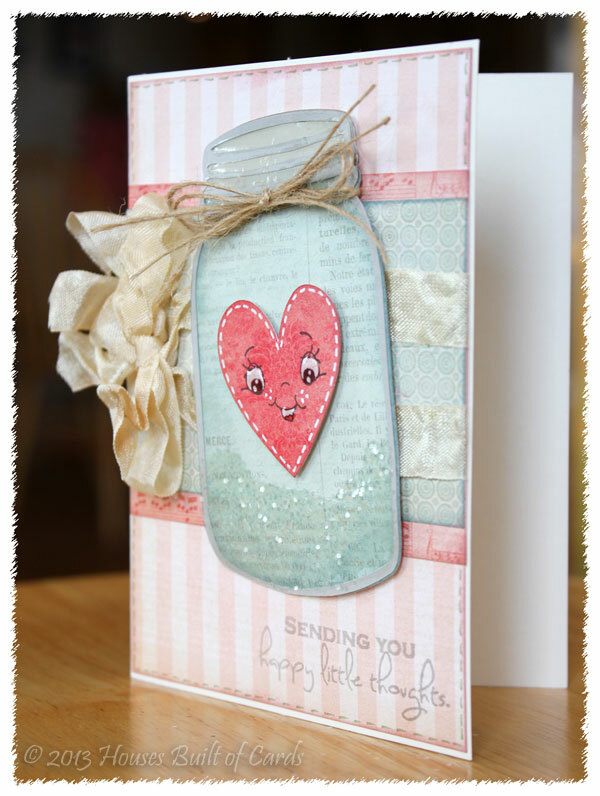 Anyway - I am quickly posting these cards for the Contenders Blog Hop. What is that you say? I have never joined in before, but it is a place to post cards that didn't get picked up for a recent Publication call. I was lucky enough to get one picked up - oddly enough one that I didn't really think stood a chance! 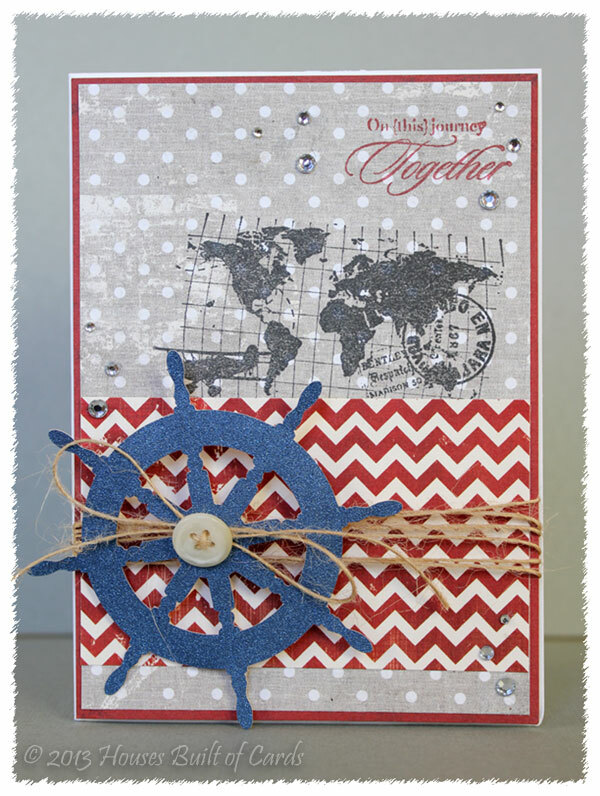 But these four I made for the Nautical category and didn't get picked up. I will post all the details on them at a later date - but for now, just thought I would share them! I am looking forward to hopping along and seeing everything else that wasn't selected - and can't wait to see the magazine!!! 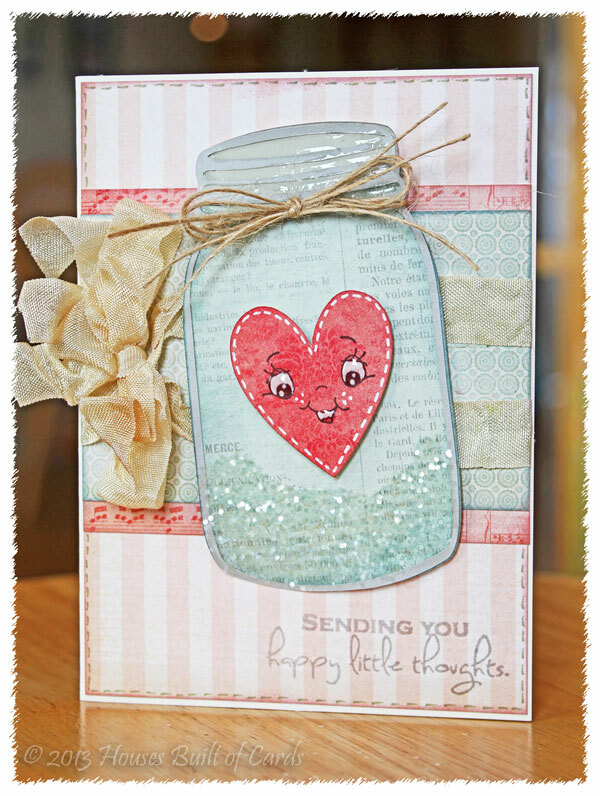 So...I have one more entry for the Make an Itty Bitty Card Challenge in the Moxie Fab World! When I made my other set (you can see them HERE) I cut both halves of the paper - so I of course had to make these into cards as well! 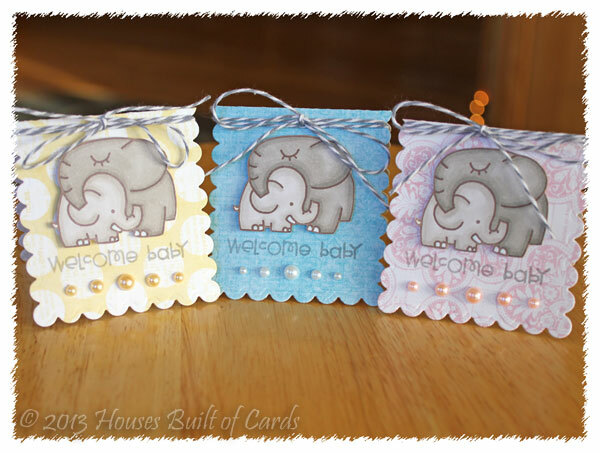 I used the same My Mind's Eye cardstock for the little card bases. These are also 2 1/2 by 2 1/2 inches square. 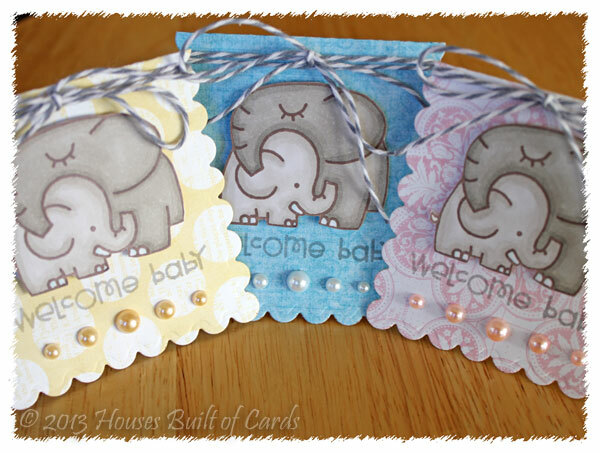 I stamped that cute Paper Smooches elephant image 3 times on Copic Blending Cardstock, colored it in with Copic markers, then cut it out by hand. 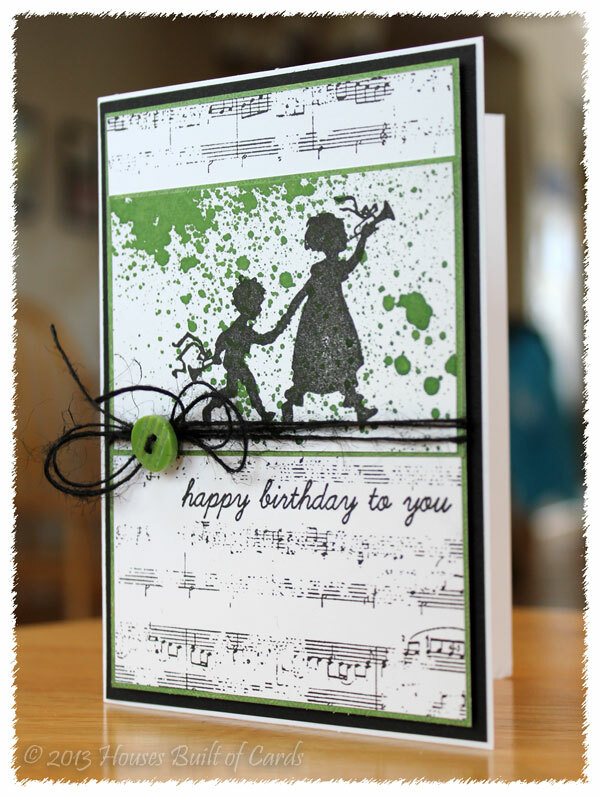 I stamped the sentiment in gray ink on each of the bitty cards, and added a row of pearls along the bottom. Attached the elephants with foam adhesive for a tiny bit of dimension. Finished off with a bit of Baker's Twine tied across the top. Ahhh...these make me so happy with their itty bitty cuteness! Thanks again for stopping by today! Have a wonderful day!!! 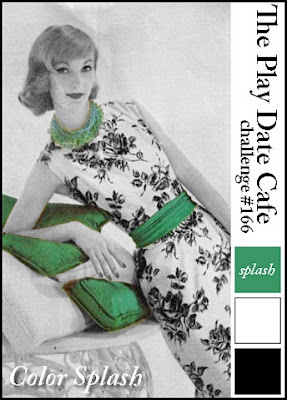 A New Challenge at Shop Pumpkin Spice! Happy New Years - and Giveaway!! !